The tragic death of 11-year-old Evha Jannath on Drayton Manor’s Splash Canyon ride in May was naturally a terrible blow to all who knew her. It was also a shock to the UK’s theme park sector, which has worked hard to maintain an almost impeccable safety record. The numbers speak for themselves. According to the BBC, Jannath’s was the first theme park fatality in the UK since 2004. Based on a 2009 admissions figure of 13.8 million visitors a year, that equals less than a one in 179 million chance of dying during a theme park visit. To put that figure in context, the chances of winning the jackpot in the UK National Lottery are around one in 14 million. In other words, you are more than 100 times more likely to win the National Lottery jackpot than you are to lose your life in a theme park. Is that good enough? Of course not. Visitor attractions must strive for an accident rate of zero, forever, and not just because it’s the right thing to do. Accidents are also terribly bad for business. The Splash Canyon tragedy, for example, led Drayton Manor to close altogether for a day, as well as shutting the water ride for the duration of the investigation that followed. At least one other operator, Alton Towers, closed a similar ride as a precaution. On top of the loss of revenue that this may have represented, operators face heavy investigation costs and the potential for hefty fines if any wrongdoing is uncovered. And then there’s the massive reputational damage that accompanies an accident. 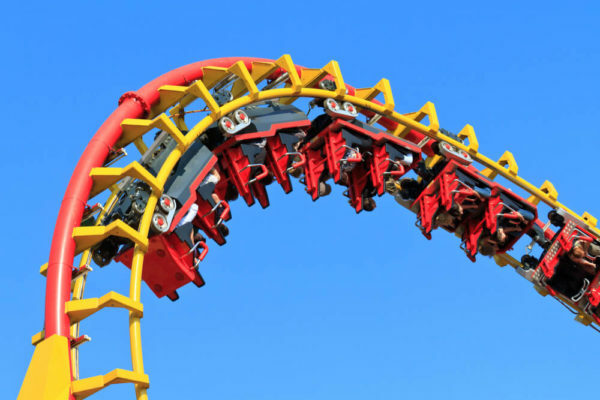 Despite this, and for all the safety precautions that theme park operators already take, it is unrealistic to expect that accidents will never ever happen. When they do, the best an operator can hope for is to show they had done everything in their hand to avoid it. This means showing evidence of regular equipment inspections, demonstrating staff had the right training and certifications, and generally being able to prove that every health and safety requirement was being adhered to. Dealing with all this paperwork is a hefty task, but there are now tools that will allow any theme park operator to do the job quickly and easily. It’s a small investment in exchange for helping to make sure no further theme park deaths are reported for a long, long time. Interested in better Facilities Management? Read on and watch the video to find out how Castle Climbing use Papertrail to meet their safety needs.